Every day for the rest of the year, we’ll be looking at one important chart that helps to explain current economic problems. The first, from the Bipartisan Policy Center, shows the projected components of federal spending over the coming decades. Everyone likes to talk about small business as the engine of the country’s economy. Well, it may come as a surprise to find out (via WonkBlog at the Washington Post) that the U.S. has the smallest small-business sector of the 25 largest economies in the OECD. Only 34.1% of American workers are employed by firms with 50 or less employees. Most OECD countries have about half of all workers working in small businesses, while Greece leads the pack with about three-quarters of workers employed by small businesses. Why would the United States lag other countries so noticeably? There’s many potential explanations — the U.S. has one of the most mature modern corporate cultures in the world (note that other countries near the bottom include similar countries like the U.K., Germany, and France). Some researchers have pointed the finger in another direction, though — towards the availability of universal health care. By de-linking employment and health care, people in Western Europeans countries are more free to pursue building their own business because they don’t have the burdens of health care for themselves (and their employees) to consider. One has to wonder how much the labor markets in our country have been distorted by our inability to break to link between health care and employment. The House transportation bill preserves current systems and boosts local road funding while halting light rail expansion the state cannot afford to build or operate. The bill also gives Greater Minnesota transit funding a $1 million increase. Leidiger is correct — the GOP-passed budget bills do increase local road funding by $125 million over the next two years. What he fails to point out is that is the exact same increase advocated by Governor Mark Dayton. Leidiger and the GOP did nothing out of the ordinary with these bills. Leidiger is also correct that the House GOP transportation bill hikes Greater Minnesota transit by $1 million over the next two years, but fails to mention that amount trails both Gov. Dayton’s recommendation and that of Senate Republicans, who increase that funding by $8 million. Leidiger’s pride over ending funding for additional light-rail projects is misplaced. The Twin Cities, with a population of over 3 million people, can’t be expected to thrive on roads alone. The Central Corridor and Southwest Corridor projects need to move forward. Leidiger shows his pride in a bill that dictates a 15% reduction in the state workforce, but hasn’t yet identified any unnecessary state activities. Once again, Rep. Leidiger and his GOP associates show that they’re better at talking the talk than walking the walk when it comes to making government function like a business. Without that review of state activities up front, there is no way to know whether or not the 15% target is achievable. It’s just a number plucked from the air. Does Rep. Leidiger run his own business that way, based on numbers that have no basis in analysis or reality? If you’re a state employee, get ready for a great future — cuts of 30% of your budget, 15% of your colleagues will be going away, and you won’t get a pay increase to cover your increased work. I bet that will do wonders for keeping talented folks in the state’s employ. Finally, our HHS bill. This legislation does what no bill has ever done before, cutting almost $2 billion in state spending. While protecting priorities like seniors in nursing homes and the disabled, the bill reduces projected spending increases by 15 percent and sets our state on a sustainable path. These are the sorts of priorities that Ernie Leidiger is standing up for, the sort of “sustainable path” he endorses. Leidiger voted to give businesses a tax cut and against fully funding Meals on Wheels or paying for eyeglasses for poor people. And it gets worse. The bill doesn’t even deliver on the $2 billion in savings that Leidiger promises. Up to $1.2 billion in savings claimed by Republicans is “not substantiated by completed fiscal notes”, according to the fiscal analysts in the Management and Budget office. For too long, government has made promises it cannot keep with money it does not have. 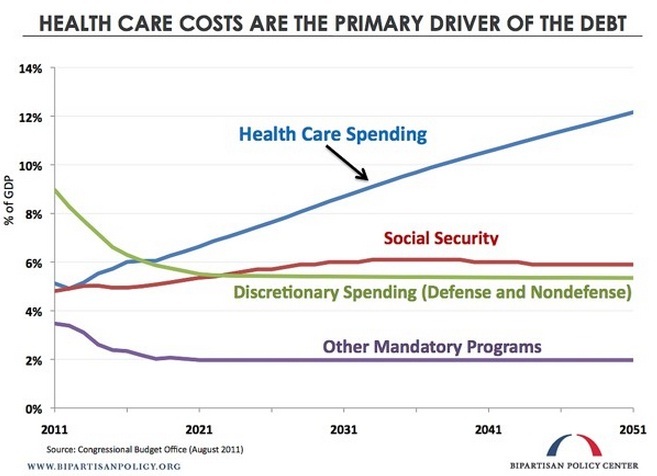 In the last decade alone, health and human services spending has increased 109%. What Leidiger fails to mention here is that the national cost of private health care insurance over that time has increased by 131%. So, in fact, Minnesota’s state government has been doing a better job than private insurers of controlling health care costs, and that’s despite the fact that government health plans are typically responsible for the poorest and sickest among us. In sum, the House Republican budget is a fiscal responsible approach that puts a lid state spending, promotes reform and helps improve Minnesota’s business climate by letting families and businesses keep more of your hard earned money. As we’ve shown, the Republican bills do nothing of the sort. Leidiger and his GOP colleagues, though, show a Charlie Sheen-like devotion to the alternative reality they’ve created. Sheen thinks his “tiger blood” and out-of-control lifestyle make him some sort of counter-culture hero. Leidiger and the GOP think that protecting the rich and punishing the poor is the path to prosperity. They may think they’re “winning” now, but we all will lose in the end if these policies become law. After heated hearing, bill to block ‘Obamacare’ in Minnesota passes House committee | Minnesota Independent: News. Politics. Media.. The new legislative session has started, and even though we’ve got a $6.2 billion deficit to address, there are already calls for tax cuts for business. It’s seemingly taken as a matter of widespread agreement that Minnesota has an “unfriendly” environment for business. But is that really the case? Crunching the numbers indicates that the conventional wisdom on this issue may not in fact be correct. A recent study by the Council on State Taxation (a collection of 600 large corporations) and the accounting firm Ernst & Young compared states by calculating the ratio of actual tax dollars paid by businesses to states, counties, and cities versus the GSP (Gross State Product) of private sector companies. This is a different measure used than in most analyses, which merely rank states based on their corporate income tax rate. Minnesota has a fairly high base corporate income tax rate, and as such doesn’t fare well in these rankings. As we all know from our personal income taxes, though, the actual tax that we end up paying doesn’t match what bracket we are in because of the various exemptions, deductions, and credits that are in our tax law. Well, the same things apply to business taxes as well. When you look at the actual amount of business taxes paid as a ratio the economic activity in the state, Minnesota fares significantly better. In fact, Minnesota’s ratio of 4.3%, is tied for 16th in the nation, ahead of such purported tax havens as Arizona (4.8%, tied for 26th) or Florida (5.3%, 37th). Minnesota even fares better than Nevada, South Dakota, and Texas (all at 4.9%, tied for 28th). Yes, you heard that right. Minnesota businesses pay less in taxes as a percentage of total economic activity than businesses in Nevada, South Dakota, and Texas. What’s the Sioux Falls radio guy going to say now? So the answer to getting Minnesota’s economy back on track isn’t cutting business taxes. We know that. All we have to do is look at the experience of the last decade. Since 2000, we have had five rounds of federal tax cuts and created about 2 million private sector jobs nationwide over that time. In the 1990s, we increased taxes and created 20 million private sector jobs. The answer to encouraging economic growth is much larger and diverse than merely cutting taxes. So what are those answers? Well, we know what they are. They are time-tested and proven. Even with our deficit, we need to protect and promote the societal infrastructure that has given Minnesota such strong economic performance over the last three decades and which has begun to decay over that time. It’s physical infrastructure (roads and bridges, the electrical grid), it’s education (from early childhood through our colleges and universities) and it’s health care (protecting children and the poor). As Jeff Rosenberg at mnpublius.com points out, for the cost of the corporate tax cuts, we could make investments that would almost certainly do more to add jobs and create long-term prosperity.